Aiko was bred to Tudorose Bonnie Prince Charlie "Jag", who has a wonderful outlier for genetic diversity. 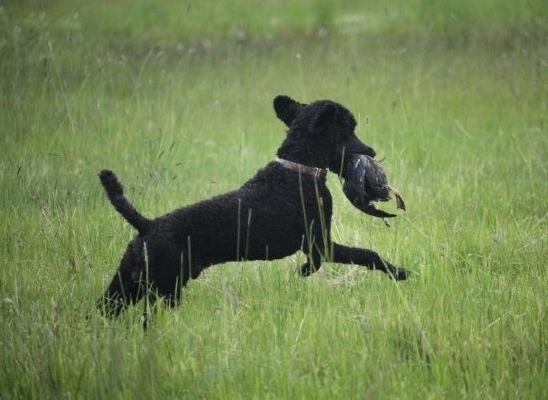 He is a delightful poodle with a very sweet temperament and excels at duck hunting and herding. He is 24 inches and weighs 55 pounds. His whole title is Hunting Retriever Tudorose Bonnie Prince Charlie Trick Dog Novice, CGC & Herding Capability Tested and that is a mouthful! 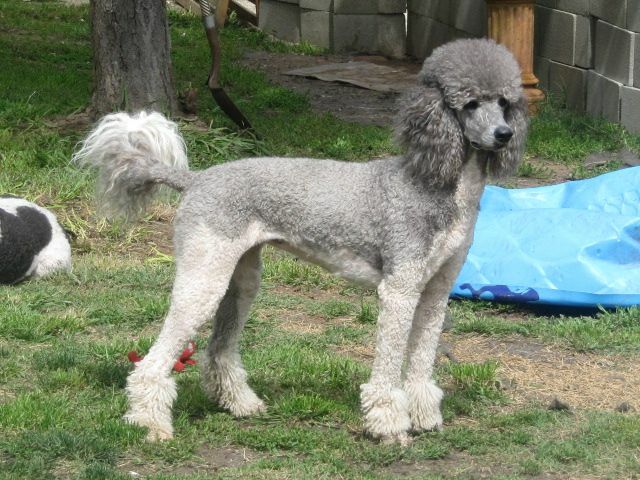 Aiko is a lover of people and pets in general and is very agile, as poodles are. She has a charming personality and is not at all alpha. She loves to swim and dive and fetching anything is her main objective. She has a sweet and loving temperament and is an amazing cuddler. She is 23 inches and 47 pounds. 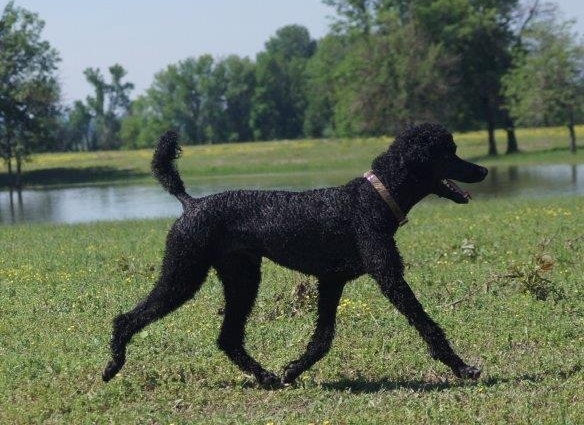 Her puppies will be parti factored SOLID poodles, in colors of silver, blue, and black. The results of their Better Bred test breeding is at the bottom of the page. These puppies will go to approved homes with limited registration with a spay/neuter clause by the time they turn 2 years of age. All puppies are $1,800.00. A $300 non refundable deposit will be required to hold a puppy who is determined by temperament testing to be the best puppy for your family. All puppies will be temperament tested using the Volhard Method. They should be born on or around September 8, 2018 and the puppies will be ready to go home by November 17, 2018 with age appropriate shots and worming. All of these puppies will be vgl tested through UC Davis and uploaded to Better Bred. Aiko, my silly, happy, lovable cuddle bug Click on Aiko's Picture for her test results with OFA And Below on image for PHR pedigree..